I would like to share some thoughts with you on the subject of unnatural fatigue, as I would like to try to contribute some of my own experiences, which might be of use to other people. It is a sensitive subject and I am going to tread carefully, which is why I have called my contribution “Some thoughts about unnatural fatigue”. Martinus does not go into depth specifically about unnatural fatigue, but on the other hand a large part of his writings deal with the transition from animal to human being, a process which we are all undergoing, and it is this very transition that is the underlying cause of us ending up suffering from unnatural fatigue. Wherever this transition is strongly intensified, as is the case with modern human beings, we are at risk of suffering from unnatural fatigue. In his article entitled Rest Martinus describes how we can overcome our natural fatigue through the rest that we get when we are asleep and also through the rest we get in the spiritual world between two incarnations. He then asks: “But what about the fatigue that cannot be satisfied through natural rest and sleep, and that can sometimes lead to suicide?” And he answers: “This unnatural fatigue, which shows itself as lethargy, shattered nerves etc., can only be overcome through a special kind of rest, an inner stillness and balance that can be acquired through insight and understanding of the laws of life as they manifest both in the universe around us and within ourselves.” If you understand this it will not be difficult to understand that one can be incarnated with an unnatural fatigue that one has developed in a previous life. This was certainly true in my case, and it is probably the chief reason that Martinus’ Cosmology came into my life very early on. Already as a child and a teenager I had difficulties due to unnatural fatigue, which as a hidden disability constantly tripped me up, and at no point have I been able to work full-time because the problems took up so much of my attention. What can we learn from humanistic health research? 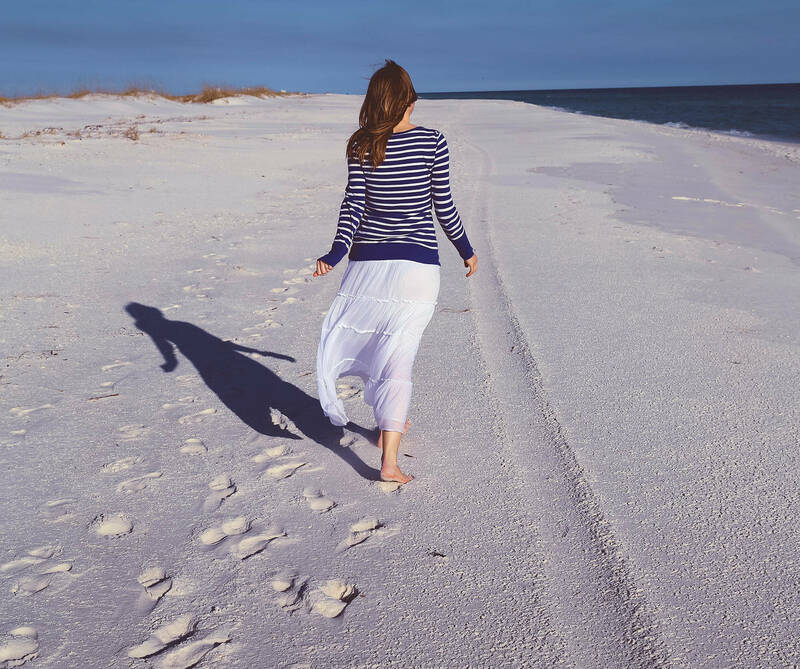 If it is the case that, like myself, you incarnate with an unnatural fatigue “in your luggage”, it will be difficult both for yourself and those around you to understand that you are ill and in need of help. You will try to manage as best as you can, but at a certain point you cannot do so any longer. It can then be difficult to find understanding for your situation among those around you. Fatigue, which is nowadays known as “chronic fatigue syndrome” has now become recognised as an illness within humanistic health research. Humanistic health research has come about as a supplement to medical science, and in an article entitled “Taking the side of the tired patients” in the Danish newspaper Kristeligt Dagblad, 24th November 2006, one can read: “The doctor says that there is nothing wrong with the patient but in response the patient complains of not being taken seriously. This kind of situation is not unknown in the consulting room. There is in fact a large group of people that cannot be given a diagnosis and that are costing society a great deal of money. It is here that humanistic health research comes into the picture,” explains Peter Elsass, professor of clinical psychology at the University of Copenhagen. He has studied a group of rehabilitation clients with symptoms of fatigue and has put fatigue in a historical perspective. “We are talking about a group of people who feel that they are ill. They have some vague symptoms, but above all else they feel so tired that they cannot function ordinarily, and experience their life as chaotic and without a future. Instead of categorising and operating with diagnoses we take their symptoms at face value in an attempt to understand the human being behind the illness on the basis of a more “holistic” attitude than that of medical science”, says Peter Elsass. When one suffers from unnatural fatigue and one finds it difficult to manage many of the challenges of existence, one can very easily run the risk of suffering from anxiety, depression, lethargy and thoughts of suicide. A very great effort is needed to prevent this process from going in a negative direction leading us to contemplate suicide or to even go so far as committing suicide. Unnatural fatigue is an extremely serious illness, which one must take very seriously and try to combat with all one’s might to the best of one’s ability. But one does not necessarily understand this fully until one’s situation is very serious. I have not overcome my unnatural fatigue, and I can still suffer very badly, but I have gathered useful experiences that can perhaps help me to make some progress towards overcoming it. I hope so at any rate. Martinus’ article The courage to face and love life has been a help to me especially during very difficult periods. I read only one section a day and when I had read it through I began again from the beginning. In this way I could gradually take in more and more of what Martinus says in this article, and what he says is extremely relevant when one is trying to struggle one’s way out of a serious attack of unnatural fatigue and its consequences. 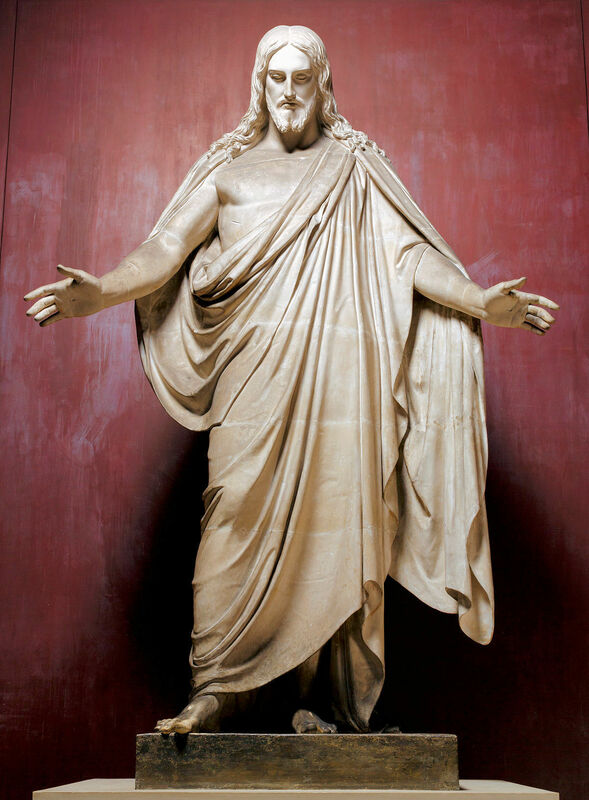 The resurrected Jesus by Bertel Thorvaldsen. Some years ago I went into the Church of Our Lady in Copenhagen, also known as Copenhagen Cathedral. I went to have a look at the statue of Christ sculpted by Thorvaldsen, and my eye was caught by the inscription on the plinth that read “Come unto me, Matth. XI. 28”. When I got home I looked up the passage in my Bible to see what it was about and I found the following: “Come unto me all ye that labour and are heavy laden, and I will give you rest. Take my yoke upon you and learn of me, for I am meek and lowly in heart, and ye shall find rest unto your souls. For my yoke is easy, and my burden is light.” I found it valuable to think about these words as I very much needed to find rest for my soul. In addition, I was aware that it was this very statue of Christ that Martinus had met in a fully alive form during his initiation, and it brought it home to me what a central issue unnatural fatigue really is in the Cosmology. The above “formula” that Christ has given us has ever since been with me as a precious gift. Martinus actually mentions it several times, among other places, in the second chapter of the short book Between two world-epochs.